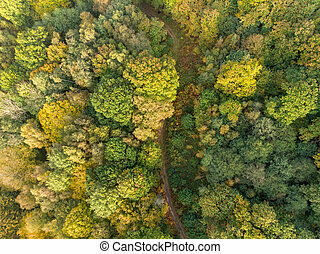 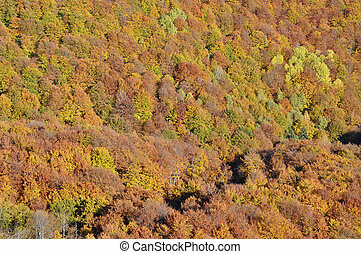 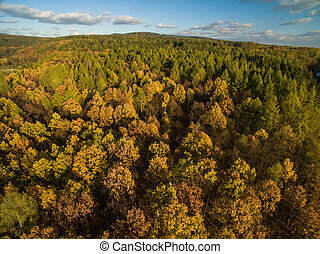 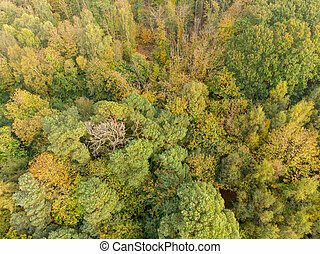 Autumn forest drone aerial shot, Overhead view of foliage trees and road. 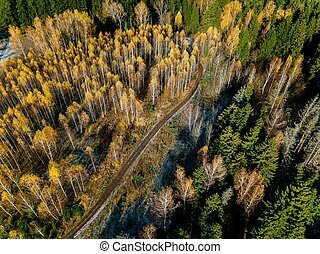 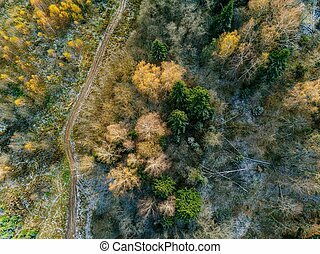 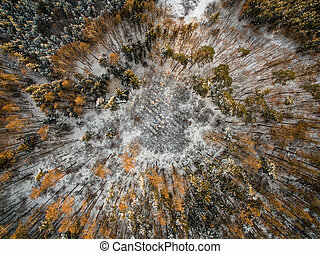 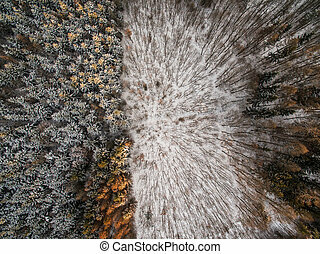 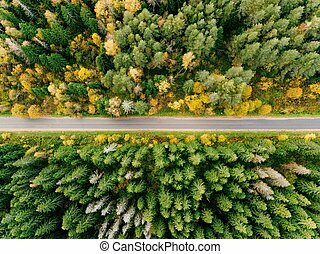 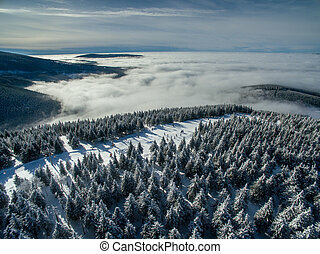 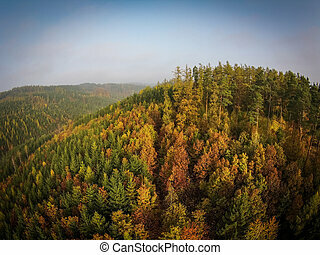 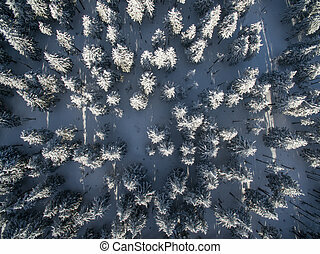 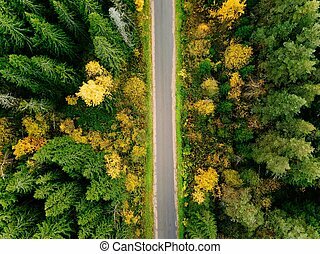 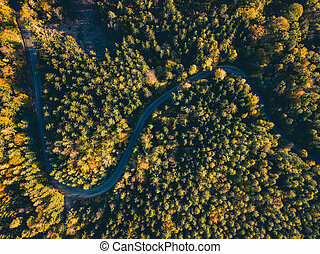 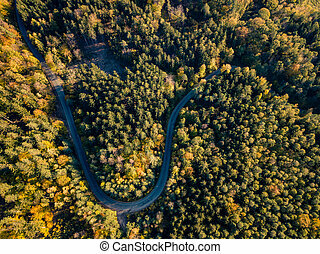 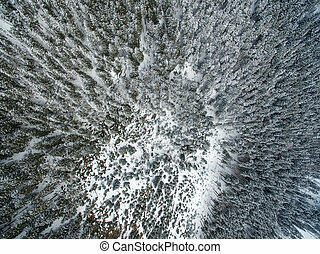 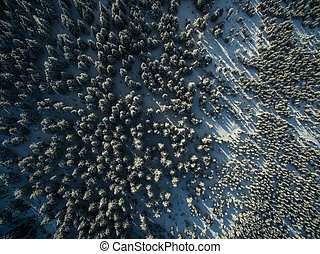 Aerial view of road in the autumn forest, view from above, drone point of view. 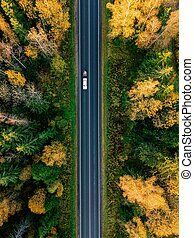 Inspiring autumn season landscape background. 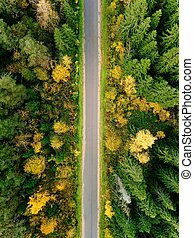 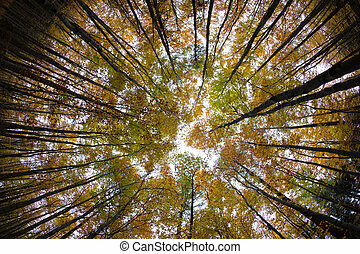 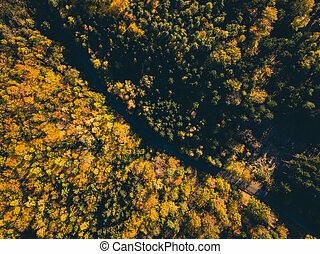 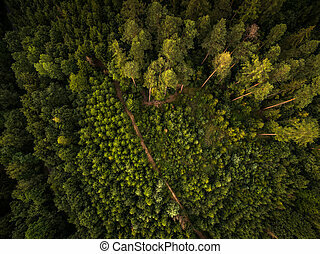 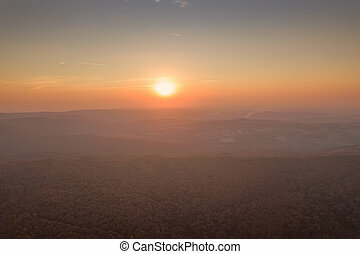 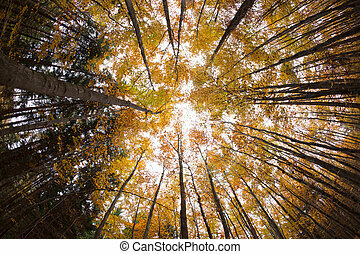 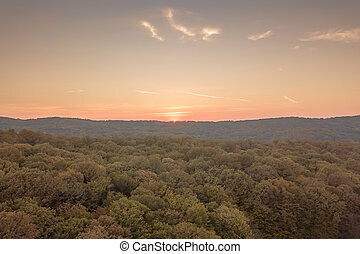 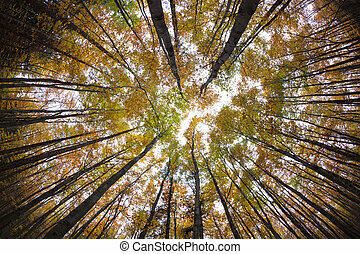 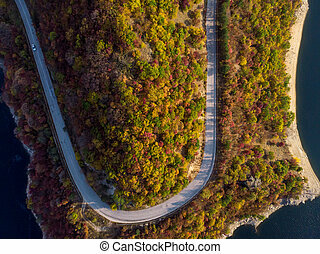 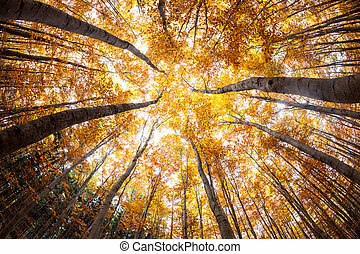 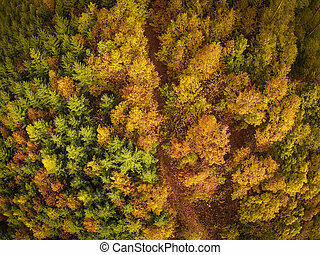 Aerial view of road in the autumn forest, from above view, drone point of view. 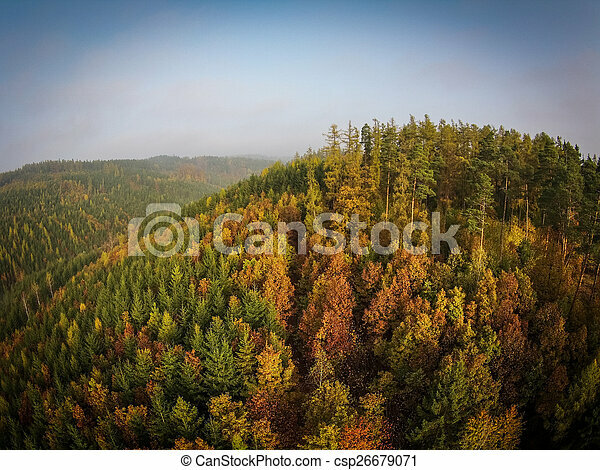 Inspiring autumn season landscape background.